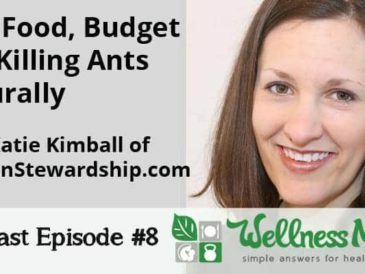 Eating healthy food on a budget can be hard, but in this episode, Katie Kimball of Kitchen Stewardship shares some great money saving tips for moms and families. 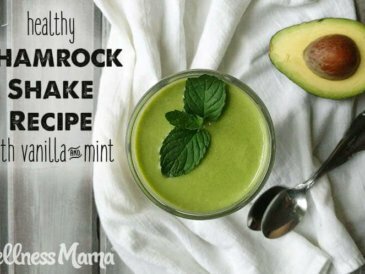 Katie is a teacher, a mom of four and the author of 8 ebooks. 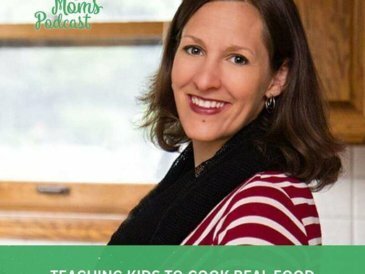 She is also the creator of the awesome Kids Cook Real Food course, which provides an easy-to-learn class for kids to learn how to cook real food on their own at all ages. Costco, once or twice a month for non-perishable organics in bulk, cheese and bulk greens. Aldi, once a week for produce canned goods like spaghetti sauce, salmon, salmon, beans, fruit and nut bars and gluten free foods. Country Life Natural Foods (Michigan) for occasional bulk items. Farmer’s Markets when available for meats, seasonal produce, etc. Meijer once or twice per quarter for more obscure produce or items not found at the farmers market. 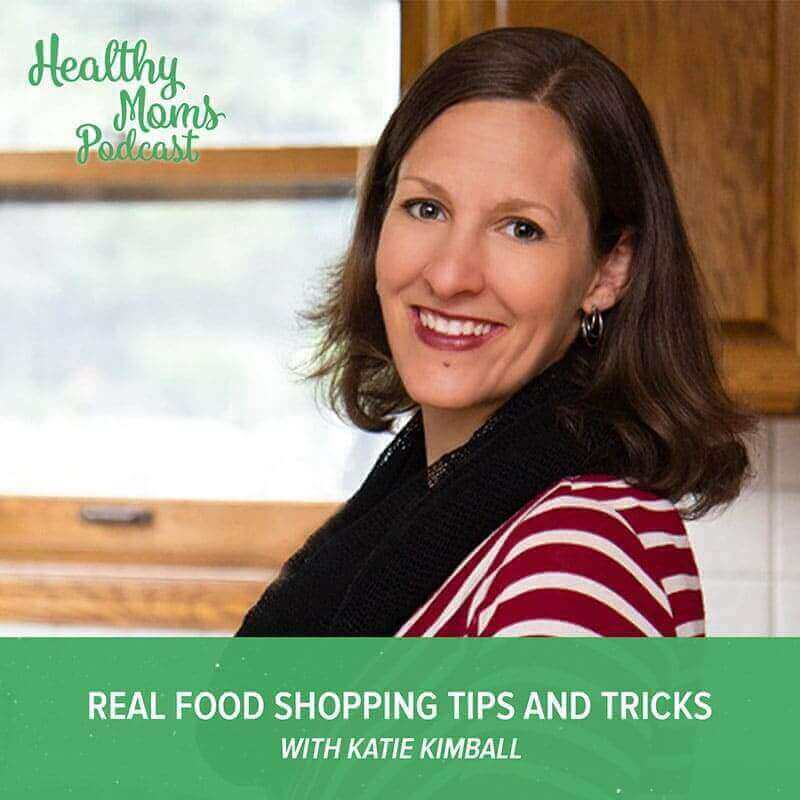 As a mother of 4, Katie Kimball has a lot of experience taking kids along to the grocery store. Here’s how she not only manages it, but her tips for making it a worthwhile experience for kids. 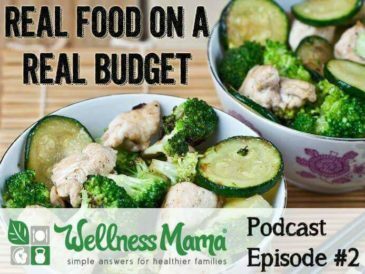 For those on a tight budget, Katie Kimball’s last important tip is to plan your meals for the week ahead of time. 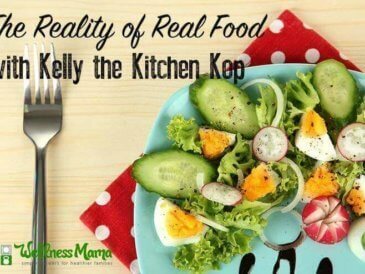 This helps reduce waste and prevent overspending, especially on meat. This article wasn’t very helpful for our area since we only have an Aldi and it showed up a month ago. 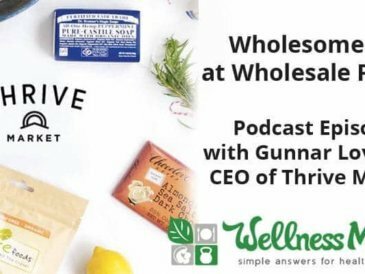 I did not know they have gluten-free foods, had been to one before while traveling and found them to mostly foreign and dirty. Our farmers market tends to be very expensive, but has a food stamp program now in coordination with the USDA, go to their both & they swipe my EBT card (up to $20) & I get $20 of food Chips (like poker chips) & $20 of produce chips. So this makes it worth it for us, double our money, which is good cause the farmers market is double price! How and where do I access the notes for the episode in order to get the 3 episodes? Thanks! I enjoyed listening to this episode, thanks for sharing it! I like the idea of shopping in bulk and mainly going to Adli and Costco. I think the struggle for me is (and probably other working Moms) is it is very hard to control what my child eats at childcare. Maybe you’ve experienced this with school lunches as well. I try to feed him healthy foods at home, but then at daycare he eats mostly processed foods. This has been the case with many daycares we’ve been at, so I know it’s not just an isolated problem. I also then find that at home he has gotten more picky because he likes the processed foods at daycare better. Ugh. I wish I could afford to stay home to help control this problem, but that’s not realistic for me. And because his daycare provider is certified, they have to offer him the daycare food. My son attends daycare, and I also noticed the same problem with the unhealthy processed foods. What I did was take my son shopping and let him pick out his lunch box and water bottle. That got him excited for his upcoming packed lunches. Now I pack his breakfast, lunch, and snacks and arranged with day care he is no longer to eat their foods. As he got older he felt left out watching everyone else eat something different from him. So now I have a copy of their menu, I replicate the meal choices with healthier options (ie they serve pizza, I make him circle pizzas with gluten free bread, my homemade sauce, and raw cheese) and he doesn’t feel left out anymore. I also allow him to read the menu and he chooses a replica or he participates in making his own lunches now. This seems to be working for us, and the extra work and effort pays off. He stopped his digestive issues, and his eczema is not flaring up. The excuse I gave the school is good allergies so that they didn’t give me an issue.